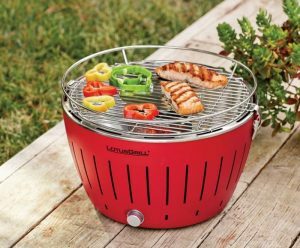 With changing technology and grill design over the years, electric grills have taken over the traditional grilling units. But for those who still love the flavors created by the charcoal grill, Velocity Grill is a perfect combination of an electric and a charcoal grill. 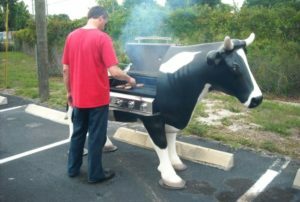 It offers a perfect taste of charcoal smoked meat or veggies with its easy gas control. Its portable design can be operated by solar power, batteries, or battery packs. 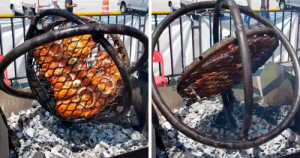 This is one of the major selling points of this game-changing grilling unit. 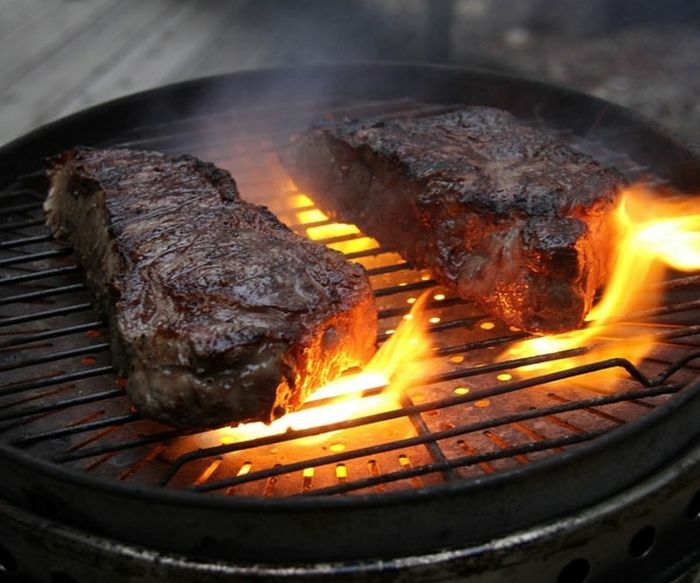 The grill boasts the wood-fueled design, which is able to reach 200 to 1000-degree within a few minutes. The grilling unit features gas controls like any other electric grill, but also boasts the superior heating quality of a charcoal grill. This has been made possible due to its in-built reverse fan blade that is able to create higher airflow for maximum heat. 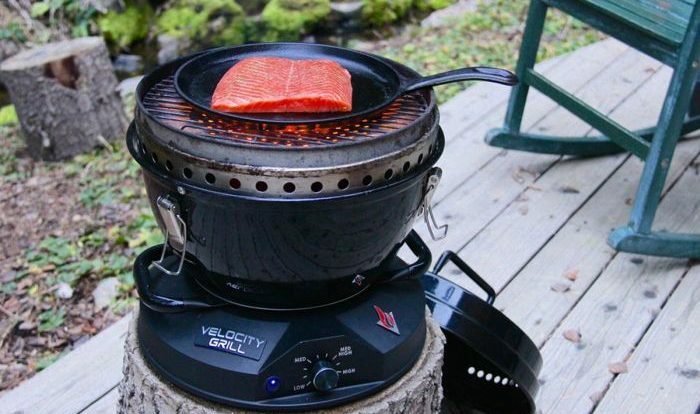 Weighing only 17 lbs, Velocity grill can be started using any types of wood chunks. However, it is recommended to use fruitwoods or hardwoods for getting the best flavor while preparing any smoked meal. You can easily find these wood types at any home improvement store near you. 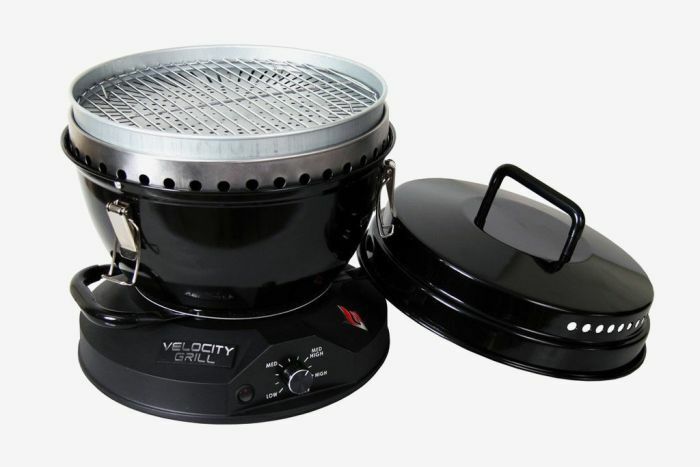 Velocity grill is equipped with a heat diffuser plate, which allows heat to push out to the edges of the grill. 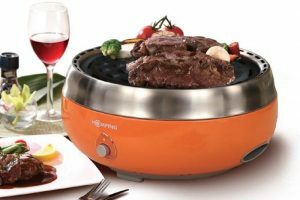 This allows even heat distribution across the entire cooking surface for perfectly cook food – bet it meat or veggies. The device is also resistant to wind and can be controlled easily like any electronic device. This makes easier to handle than the traditional grilling devices. 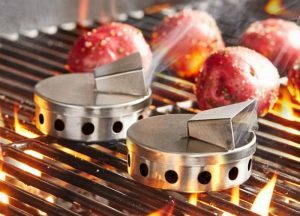 If you like the design and functioning of this compact grilling unit, you can grab it from Amazon for US $189.95. 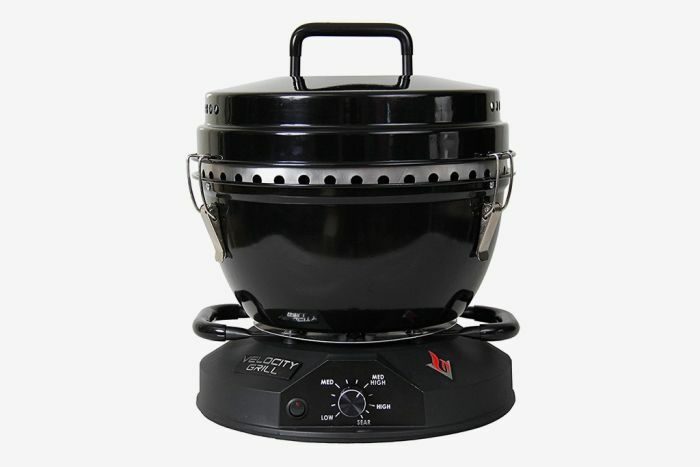 This grilling unit is likely to turn your camping partners green with envy with your high-tech cooing gear.